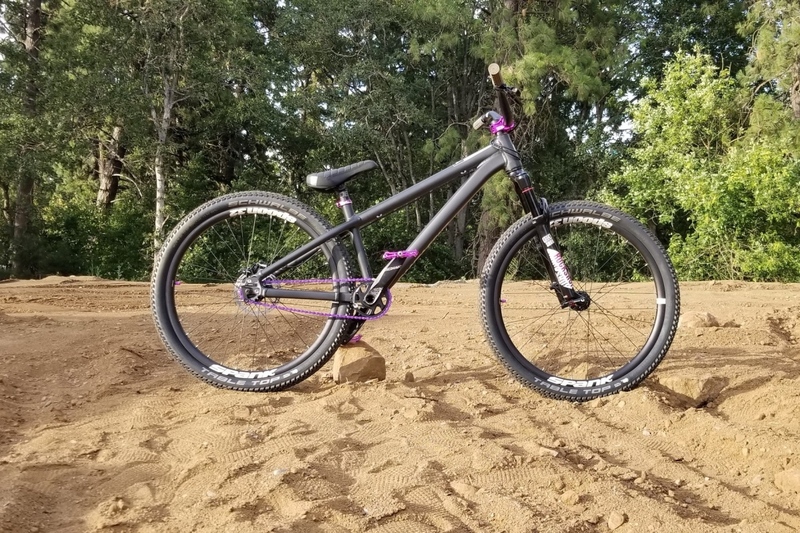 Enter the Hood River pump track raffle for a chance to win this bike. Whether you live in the area or just want to help out a good cycling cause, here’s a chance to contribute to the local cycling community and help get the Hood River Pump Track built. 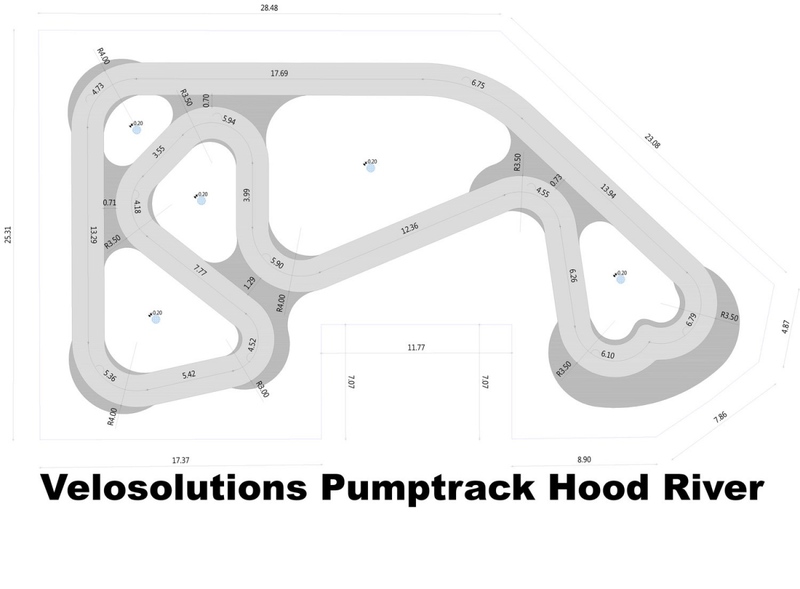 The proposed Hood River pump track will be built by Velosolutions, which is known for sculpting flowy lines that are impervious to rain thanks to their asphalt finish. Compared with a standard pump track, these armored pump tracks have additional construction costs. To help with the fundraising efforts, Hood River Bicycles built a custom Santa Cruz Bicycles Jackel Dirt Jumper that will be raffled off. Chance to enter the drawing ends August 1, so get in there soon. Velosolutions is known for sculpting flowy lines that are impervious to rain thanks to their asphalt finish. The Hood River pump track project is located in a newly built park in town, adjacent to the local high school. Hood River Parks and Recreation has allocated 1.5 acres of Golden Eagle park to be designated as a pump track and bike skills area. There are very few opportunities for skill development in town. Thus, many youths who do not have an opportunity to go to the trails are missing out on developing fundamental skills and engaging in the healthy life long activity of biking. Hood River Area Trail Stewards (HRATS) is the entity building the bike area of the park and fundraising efforts such as this are what will pay the bills. Biking continues to be a growing sport and is often a privileged activity. The aim is to make this bike park easily accessible to all youth and adults of the Hood River valley. As the bike industry flourishes, it is important to continue efforts to reach everyone. The HRATS see the asphalt pump track in Hood River as a multi-season biking venue where people can come together with friends, family, peers, and mentors to learn and grow together as riders and as a biking community. It has been proven worldwide that the sport playground is not just able to get kids excited, but also their parents, grandparents and the entire community. 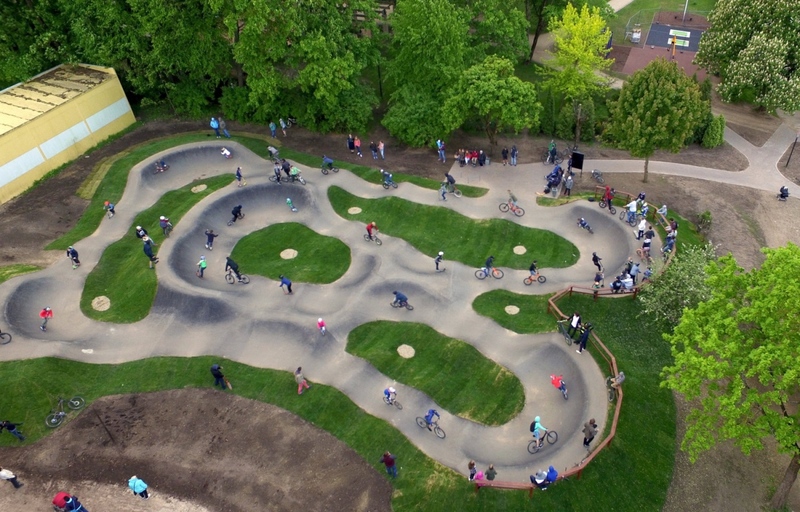 As such, the pump track becomes a mixing pot for many different generations and groups. 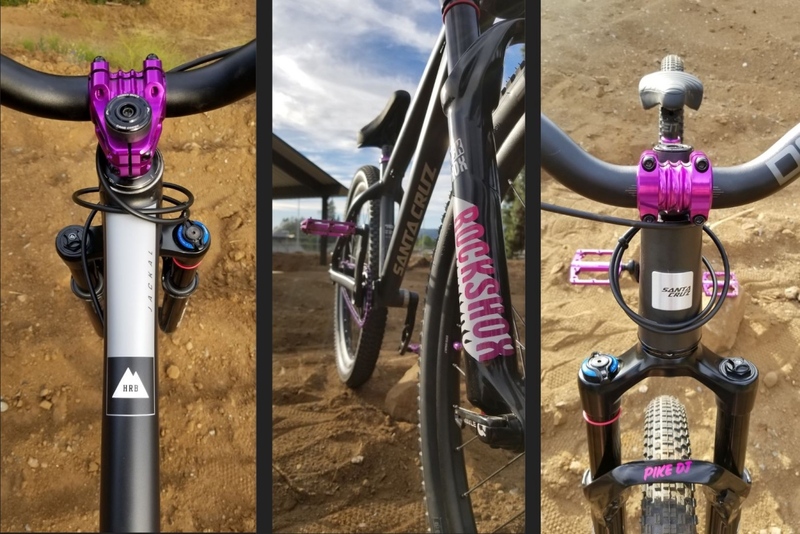 Santa Cruz Bicycles, Deity Components, Rock Shox, SRAM, Schwalbe, SPANK/The Gravity Cartel, The Fat Tire Farm and Hood River Bicycles have all donated the parts to build this custom DJ to help raise the last of the funds to make the Velosolutions pump track a reality. Here’s a look at the proposed Hood River pump track. To enter the raffle go to rafflecreator.com. To make an additional dontaion to the build effort head to www.gofundme.com/hood-river-velo-pump-track.